In finance, risk is the probability that actual results will differ from expected results. In the Capital Asset Pricing Model (CAPM)Capital Asset Pricing Model (CAPM)The Capital Asset Pricing Model (CAPM) is a model that describes the relationship between expected return and risk of a security. CAPM formula shows the return of a security is equal to the risk-free return plus a risk premium, based on the beta of that security, risk is defined as the volatility of returns. The concept of “risk and return” is that riskier assets should have higher expected returns to compensate investors for the higher volatility. Broadly speaking, there are two main categories of risk: systematic and unsystematic. Systematic risk is the market uncertainty of an investment, meaning that it represents external factors that impact all (or many) companies in an industry or group. Unsystematic risk represents the asset-specific uncertainties that can affect the performance of an investment. The farther away into the future a cash flow or an expected payoff is, the riskier (or more uncertain) it is. 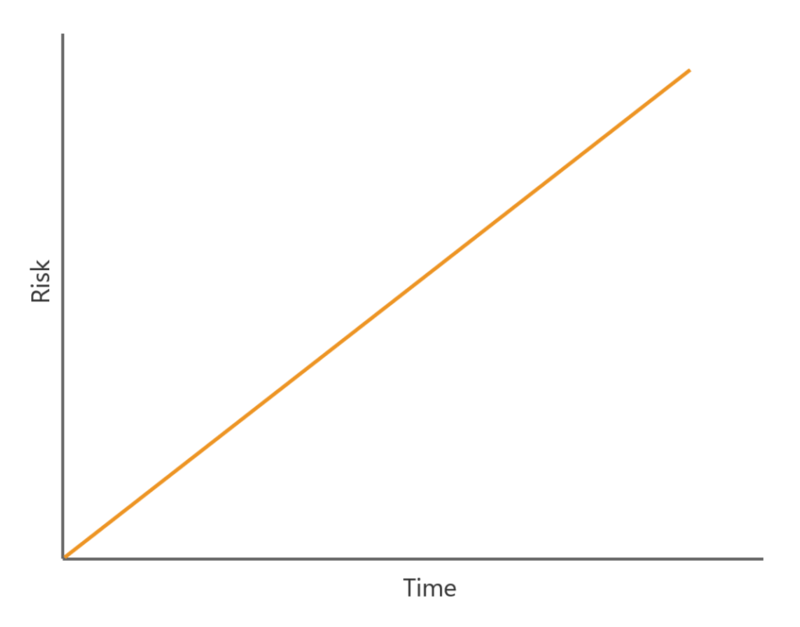 There is a strong positive correlation between time and uncertainty. Below, we will look at two different methods of adjusting for uncertainty that is both a function of time. Since different investments have different degrees of uncertainty or volatility, financial analysts will “adjust” for the level of uncertainty involved. Generally speaking, there are two common ways of adjusting: the discount rate method and the direct cash flow method. The discount rate method of risk-adjusting an investment is the most common approach, as it’s fairly simple to use and is widely accepted by academics. The concept is that the expected future cash flows from an investment will need to be discounted for the time value of money and the additional risk premium of the investment. To learn more, check out CFI’s guide to Weighted Average Cost of Capital (WACC)WACCWACC is a firm’s Weighted Average Cost of Capital and represents its blended cost of capital including equity and debt. The WACC formula is = (E/V x Re) + ((D/V x Rd) x (1-T)). This guide will provide an overview of what it is, why its used, how to calculate it, and also provides a downloadable WACC calculator and the DCF modeling guideDCF Model Training Free GuideA DCF model is a specific type of financial model used to value a business. DCF stands for Discounted Cash Flow, so the model is simply a forecast of a company’s unlevered free cash flow discounted back to today’s value. This free DCF model training guide will teach you the basics, step by step with examples and images. The direct cash flow method is more challenging to perform but offers a more detailed and more insightful analysis. In the DCF method, an analyst will directly adjust future cash flows by applying a certainty factor to them. The certainty factor is an estimate of how likely that the cash flows will actually be received. From there, the analyst simply has to discount the cash flows at the time value of money in order to get the net present value (NPV)Net Present Value (NPV)Net Present Value (NPV) is the value of all future cash flows (positive and negative) over the entire life of an investment discounted to the present. NPV analysis is a form of intrinsic valuation and is used extensively across finance and accounting for determining the value of a business, investment security, of the investment. Warren Buffett is famous for using this approach to valuing companies. Diversification is a method of reducing unsystematic (specific) risk by investing in a number of different assets. The concept is that if one investment goes through a specific incident that causes it to underperform, the other investments will balance it out. Hedging is the process of eliminating uncertainty by entering into an agreement with a counterparty. Examples include forwards, options, futures, swaps, and other derivatives that provide a degree of certainty about what an investment can be bought or sold for in the future. 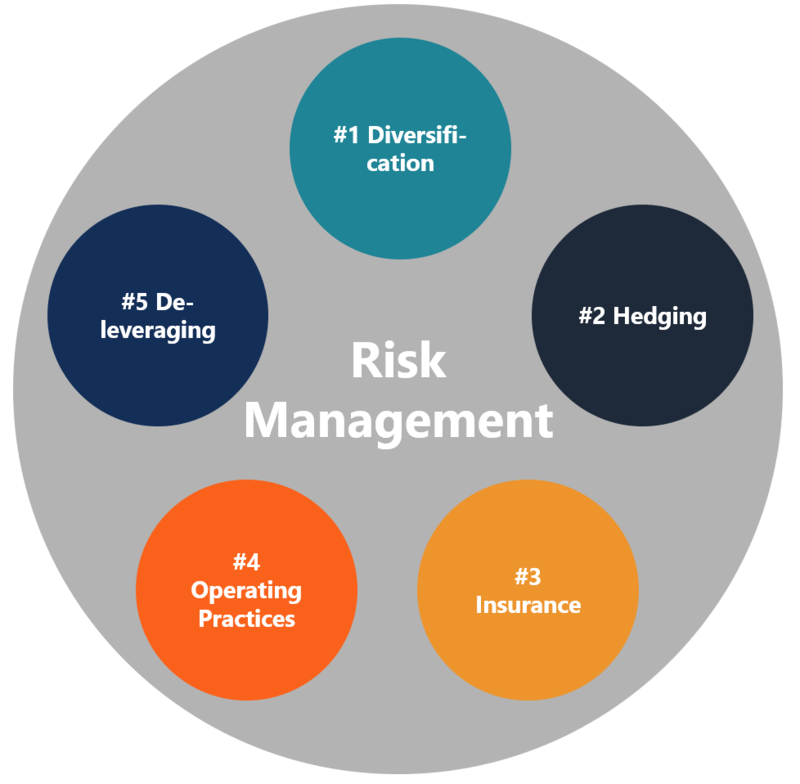 Hedging is commonly used by investors to reduce market risk and by business managers to manage costs or lock-in revenues. There is a wide range of insurance products that can be used to protect investors and operators from catastrophic events. Examples include key person insurance, general liability insurance, property insurance, etc. While there is an ongoing cost to maintaining insurance, it pays off by providing certainty again certain negative outcomes. There are countless operating practices that managers can use to reduce the riskiness of their business. Examples include reviewing, analyzing, and improving their safety practices; using outside consultants to audit operational efficiencies; using robust financial planning methods; and diversifying the operations of the business, etc. Companies can lower the uncertainty of expected future financial performance by reducing the amount of debt they have. Companies with lower leverage have more flexibility and a lower risk of bankruptcy or ceasing to operate. It’s important to point out that since risk is two-sided (meaning that unexpected outcome can be both better and worse than expected), the above strategies may result in lower expected returns (i.e., upside becomes limited). 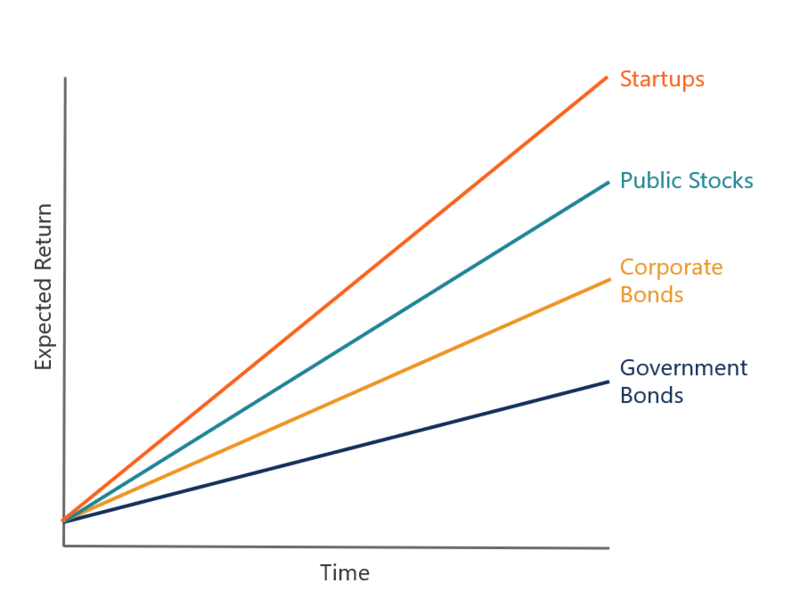 The concept of uncertainty in financial investments is based on the relative risk of an investment compared to a risk-free rate, which is a government-issued bond. Below is an example of how the additional uncertainty or repayment translates into more expense (higher returning) investments. As the chart above illustrates, there are higher expected returns (and greater uncertainty) over time of investments based on their spread to a risk-free rate of return.